After hearing that a new gas boiler was on the GSPCA’s wish list for improvements to their facilities, Guernsey Gas has stepped in, fitting and providing a brand new Vaillant gas condensing boiler for the animal welfare charity. Steve Byrne from the GSPCA explained: "Our old boiler had fallen into disrepair." 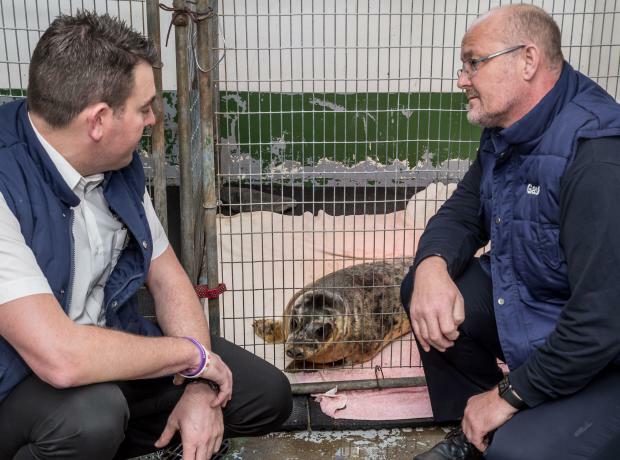 "Without hot water we are unable to carry out many of the tasks required to care for some of the animals we look after." "This includes washing oiled sea birds, cleaning out animal enclosures and general cleaning for implements and utensils."